This content is provided by Marcin Smolarek. A partner at WKB, Marcin heads the banking and finance practice. He specializes in project finance, lending (LBO or REF), debt restructuring, distressed debt and financial litigation. He also advises on securitization and secondary markets, as well as investment funding and construction investment. 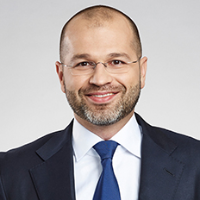 He has hands-on experience in debt restructuring, gained while advising on large projects that involved restructuring Polish bonds issuers, listed companies, energy sector and real estate loans. Marcin also possesses significant expertise in restructurings and insolvency proceedings, offering pre-trial legal advice for financial institutions by assisting them in NPLs and debt collection.